Enthusiasts revive the memory and the output of a city’s silent-era film industry, long shuttered. 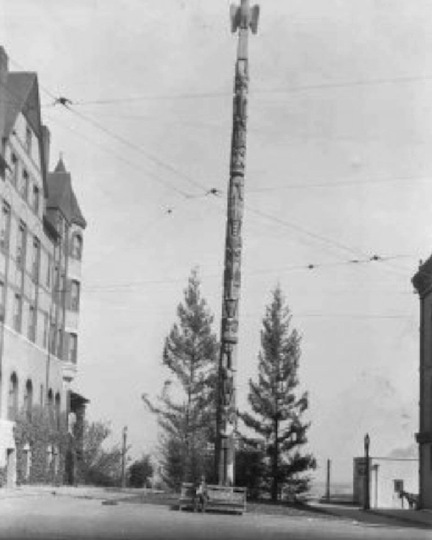 Tacoma’s iconic totem in its original location, by the still-standing Tacoma Hotel. Tacoma, a feisty port city in Washington state, in the US Pacific Northwest, is enjoying an urban renaissance, and can now trumpet its contributions to movie making. Its greatest claims to fame have been two, or three: It has since the late 19th century been a gateway to the world for the lumber exploiters who have scourged the valleys and mountains of old-growth timber and it has since 1940 been the city whose Tacoma Narrows (“Galloping Gertie”) Bridge suffered an astounding failure and collapse under high winds. 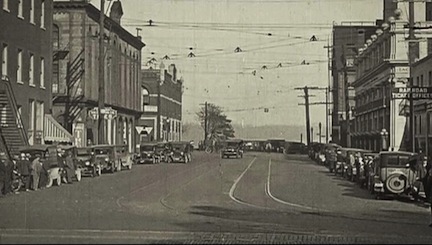 In the way that cities do, the self-declared City of Destiny has history that is little noticed, or told, but that when revived may serve them well — such as that, in the 1920s, Tacoma could boast of being home, too briefly, to a large movie studio. 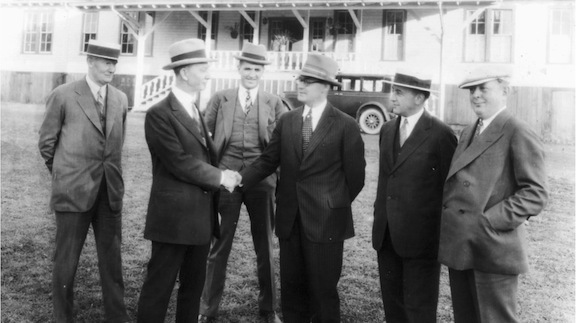 Above: Weaver seals the deal with Tacoma city officials. Below: The Weaver Productions studio crew. 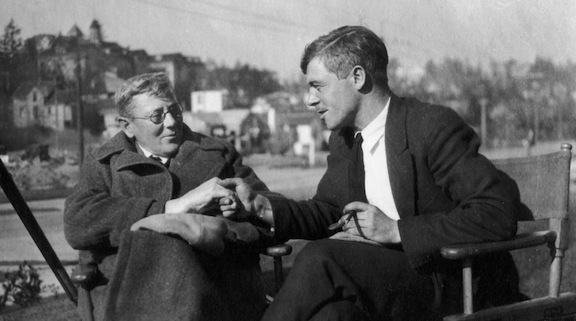 Bottom: Weaver and W.S. 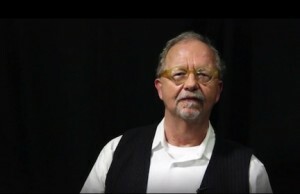 Van Dyke. 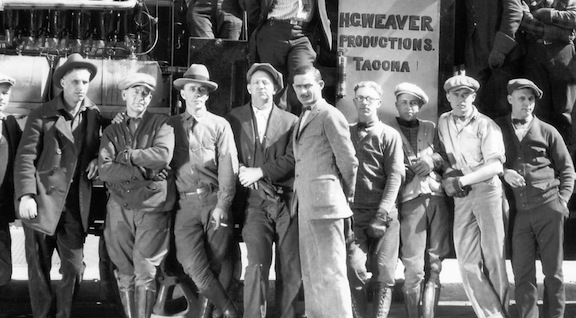 The namesake of H.C. Weaver Productions was a hopeful soul who thought he could capitalize on Tacoma’s being only half as far as the burgeoning studios and backlots of Hollywood from the Klondike gold rush in Alaska, a sure-fire source of film subjects. Weaver’s perhaps madcap vision, covering five acres near what is now Titlow Beach in the city’s western reaches, rivaled anything in Hollywood. In a $50,000 project, he built a huge facility with 15 star dressing rooms, executive offices, and a projection room. 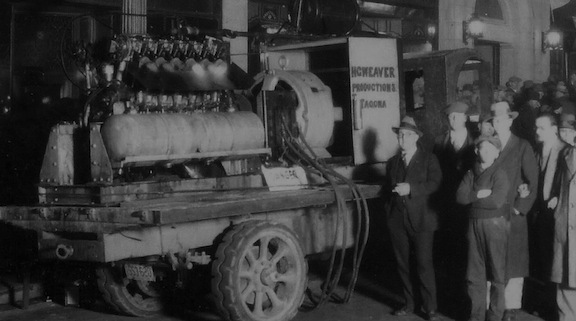 He completed his warehouse of dreams on 14 December 1924, and quickly attracted productions with big-name casts. He provided elaborate sets, and for location shoots, he could offer Tacoma’s grand architecture, which lumber commerce had built. Only 30 miles away were the dramatic snowfields, peaks, and moraine of Mt. Rainer, which rises to 14,400 feet (4,400 meters). 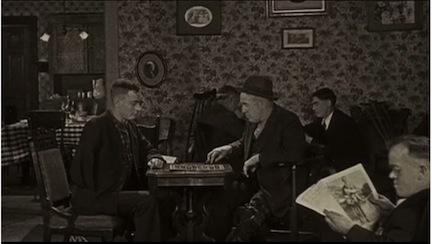 Soon after Weaver built his studio in 1924, three national releases were shot there. One, Hearts and Fists, was made in 1926 by Lloyd Ingraham, who had directed westerns during the 1910’s before moving on to melodramas. Then there were two Weaver films made by W.S. Van Dyke: The Heart of the Yukon in 1927, and just before that, The Eyes of the Totem. 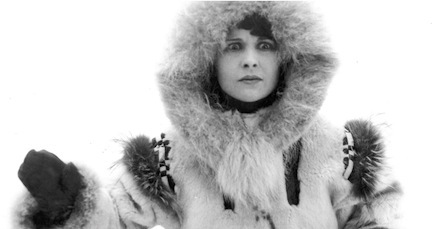 In The Eyes of the Totem’s 35 minutes, Mariam Hardy (Wanda Hawley, later a star for directors Cecil B. DeMille and Sam Wood) persuades her husband (Monte Wax) that the fortunes they may make from their land claim in Alaska matters little by comparison with the safe rearing of their darling daughter Betty (Anne Cornwall, later to feature with Buster Keaton in College and with Laurel and Hardy in Men O’War). No, they must forego fortune and take her far from the lubricious frontier, back to the more salubrious Lower 48, to Tacoma. Mariam fatefully convinces her husband to sell up their lucrative gold claim and return to the Lower 48. 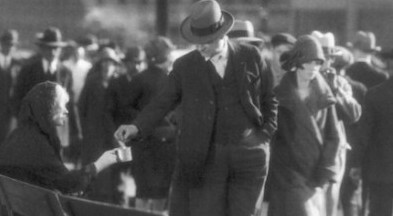 This was well before Tacoma’s 1990s spate of gang-related drive-by shootings and carjackings (which seem blessedly to have fallen out of fashion), but even in the 1920s the city proves less safe than Mother Mariam foresaw: a baddie murders dad and clears off with his cash. Broke, mum and innocent Betty must plead for spare change on the streets. 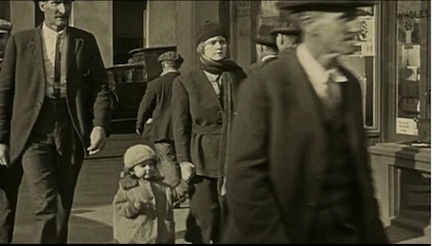 There, fatefully, a blind beggar (Bert Woodruff, whose stardom was well established from roles in D.W. Griffith features) saves them from being bowled over by a horse and buggy and then advises momma to pretend that she, too, is blind so she can more effectively panhandle for change. Mariam leads her child through the city in search of her husband’s killer, while the eyes of the totem are watching. The blind mendicant saviour reasons that Mariam can station herself by the center-city totem pole of the film’s title, because from there she and her Betty can keep watch for dad’s killer. As a money earner, the strategem works a charm, and Betty is dispatched to a boarding school; but as a surveillance technique, the blindness dodge reveals the identity of the killer slowly. After persisting for years in her vigil, Mariam recognizes a restaurateur, Philip LaRue (Tom Santschi), as the perp, and ponders how she will catch him. Whaddaya know, independently, Betty, back from school and now even more bonnie, is out with her beau when they, too, happen to encounter LaRue. The cops are hot on his trail, as is mom. When the police pounce, LaRue dies the deserved death of the nefarious; and Mariam reunites with Betty! 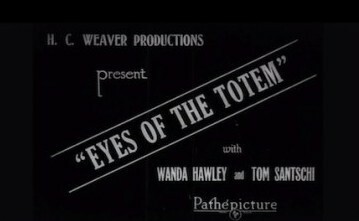 The Eyes of the Totem appropriately premiered in Tacoma in 1927. 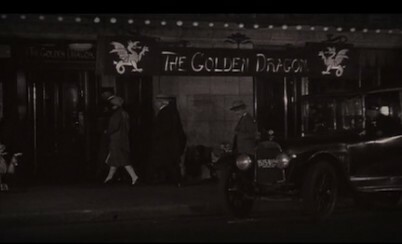 Its five reels featured many scenes of the city that are of interest to historians, and no doubt will appeal to residents, today. 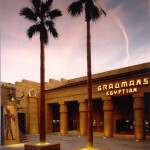 The film’s primary location was the grand Tacoma Hotel, where the totem long stood, although during repairs a couple of years ago it was moved to a nearby park. 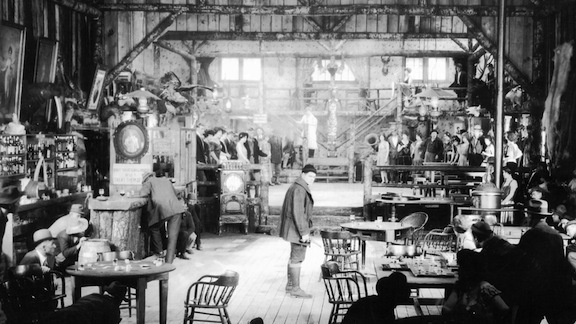 As a gothic melodrama of Klondike riches, villainy, violence, and just resolution, The Eyes of the Totem promises great entertainment when it re-premieres in the city, where enthusiasts are working to revive it. 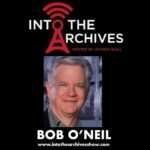 Those include local film historians and film producers, the Tacoma Historical Society, and the Tacoma Historic Preservation Office. A few years after this was the scene are Weaver studios, during their construction, the facility was closed, and soon after, it burned down. 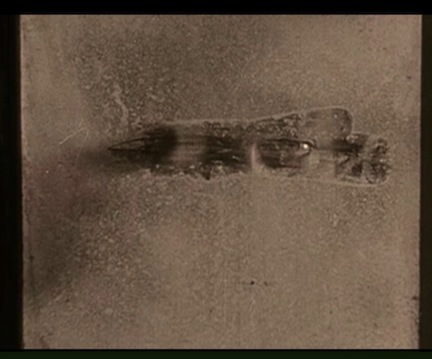 How all that has become possible is an exemplary tale of film recovery and restoration. 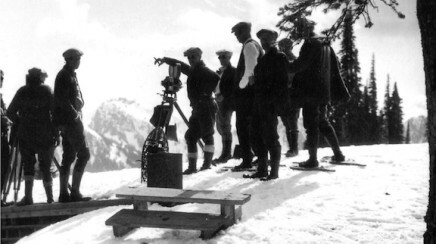 Soon after the production was completed, Weaver Studios suffered a fatal blow that so many silent-film studios did: soundies arrived on the scene, and the market for silents from H.C. Weaver Productions or any other studio evaporated almost literally overnight. The studio closed in 1928; its main building became a dance hall during the Depression and then burned dramatically in 1932. That was that. The Tacoma of Weaver Productions’ day. Local historians knew the history well, of course, but their ability to appeal to Tacomans was limited by the disappearance of all but a few bungalows on Thaver Productions site, and of the films, themselves. 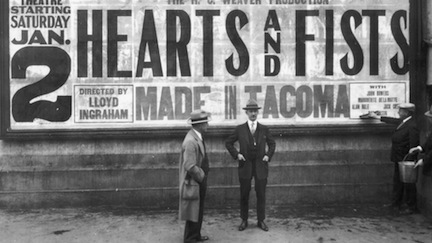 Some promotional photographs and posters from Weaver productions existed, and have been available at the Tacoma Public Library, but none of the three films, or even parts of them. Until last year . It was then that Lauren Hoogkamer, who had just been hired as the city’s historic preservation coordinator, began conducting research into Tacoma’s totem, which was undergoing restoration. 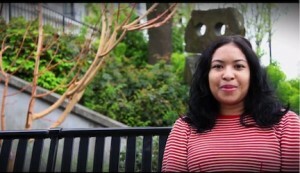 She heard tales of the totem’s connection to the lost Weaver-studio films. She says Tacoma historians had been looking for Weaver films for years, and believed that a copy might be held at the Museum of Modern Art in New York. But they had been unable to verify that, because even though MOMA has state-of-the-art film facilities, it also has some 25,000 films to restore, should opportunity and funding ever become available. It was on five reels, on nitrate, but it had a potentially very long wait to get to the top of MOMA’s restoration schedule. Archivists there did quote Hoogkamer a cost of about $40,000, should she wish to bring the film back to Tacoma. Sullivan, who is also principal at Artifacts Architectural Consulting, which preserves significant local buildings, spoke with the director of the Tacoma Art Museum, Stephanie Stebich, who as luck would have it could call on Glenn Lowry, the director of the Museum of Modern Art, and was able to strike a deal that the film would be shipped back to Tacoma for $4,500. 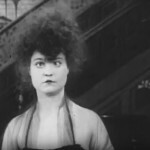 Now Sullivan, Hoogkamer, and fellow enthusiasts have reached the goal of their $25,000 Kickstarter campaign that will pay for MOMA to restore the film and make a digital copy immediately, and to meet such other costs as rights clearances. Local media producers have lightly corrected the film speed, “but otherwise it’s pretty untouched,” she says, while she and her fellow enthusiasts have commissioned new musical accompaniment from Tacoma composer John Christopher Bayman, and an exhibition trailer. 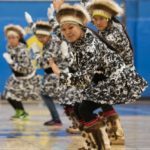 The discovery of The Eyes of the Totem has been big news, locally, generating front-page newspaper coverage, as well as radio and television spots. Local schools, universities, and theaters are eager to screen it, and film historians and festivals also are requesting it. 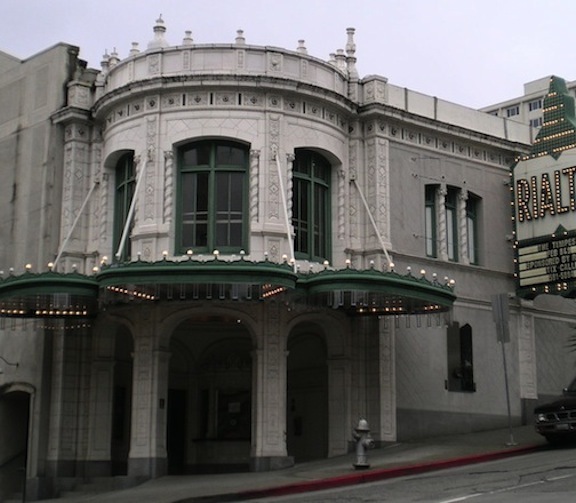 First, however, the film’s restorers will hold a screening for donors to the restoration project on 18 September 2015 at the Rialto Theater in Tacoma, a Beaux Arts building from 1918 that opened as a “photoplay house” and has been listed on the National Register of Historic Places since 1992.